And a free upgrade to Fusion 8! 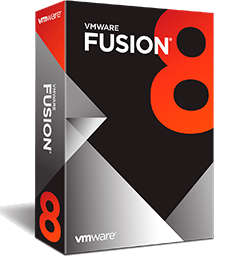 Fusion 8 is about to be released and to help you make your purchase now (and not switch over to Parallels Desktop 11 for Mac that was just released), they are giving you 10% off your order and a free upgrade to vFusion 8 once it goes on sale in the next few weeks. No coupon code is needed – Just follow the above link to to take advantage of this exclusive offer available at vmware.com. Remember that if you are currently running an older version of Fusion then you may qualify for an upgrade discount to save nearly 40% on your order. Upgrade to either the regular version of Fusion 7 for $49.99 vs $69.99 at full price or Fusion 7 Pro for $79.99 vs. $149.99 at full price. Upgrades are only available for existing customers who own a qualifying older version of Fusion. See vmware.com for full details. Are you currently using Parallels to run Windows and your PC apps on you Mac? As an incentive for you to switch over to Fusion 8, VMware is giving you 27% off the Professional version. To qualify, you will need to provide your existing Parallels serial number located in your existing software and enter the key as proof of validation at order checkout (your serial number/key should look similar to this: GF6KMP-32D0B8-102D1D-XN46RE-TVPKQ6). This offer is only available in the United States (if you’re in Europe, you’ll be bounced to the EU store where this offer is not available). This is an ongoing promotion to those who qualify. Most software companies offer special student discounts including VMware. VMware lets you pick up the full version of Fusion 8 for $60.00 off the list price as long as you can show academic qualification (usually a valid school id is all that’s needed). Parents or guardians of school kids are eligible as well so be sure to learn more to see if you can save with this offer. Must be a current student to qualify. If you’re running Fusion 7 or 6 right now, then you may qualify for the upgrade discount offered at vmware.com. You’ll be able to upgrade to either the standard version for $49.99 or to the Pro version for $79.99 (that’s 40% off the regular price!). You will need to have your existing license key handy ad it’s needed for upgrade verification. Not all users may qualify as it depending on the version that you now own. Be sure to see vmware.com for full offer terms and conditions. Offer valid for current VMware Fusion customers. 30 days to test it out for free. If you’re a new mac user missing your old PC programs and haven’t tried a virtualization software program like Fusion or Parallels, then you can download and test it out for a full 30 days. If you’re happy with it and it’s performance, just buy a license to fully activate it (no need to reinstall). If you decide that it’s not the best program for you, then simply uninstall the trial version as soon as it expires at 30 days and won’t cost you a dime. The only information required to access the trial download is a working email address. When do we expect Fusion 9 to be released? As new versions of Fusion are typically released annually in September each year. For all the latest updates, rumors and news on Fusion 9, see our release date rumors page for more details on the upcoming release. What about Parallels Desktop 11? Parallels has just released Desktop 11 for Mac in late August, 2015. Be sure to see the latest deals and offers before getting Fusion if you're open to switching. Find an expired discount or coupon code? Then please notify us and we'll see what happened to help you out. 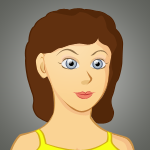 Remember, some promo codes will require you to enter them exactly how they appear (i.e. If capital letters are used, then use them as well when entering the code into the checkout cart). Sometimes a code can also expire early if the promotion reached their sales limit. Whatever the reason, let us know and we will do everything we can to help!